High pressure water jetting has many purposes. 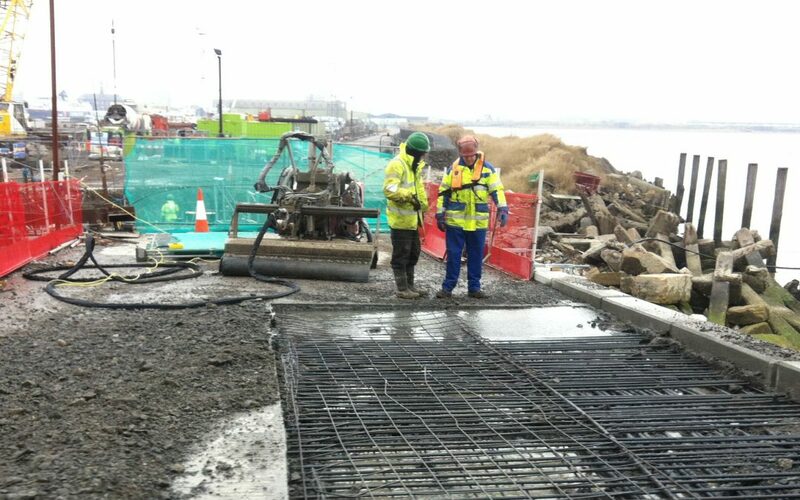 With applications including hydrodemolition, tank cleaning and road marking removal, it is popular due to its efficient and environmentally friendly nature. However, as with any tasks onsite, there are risks for operatives and those nearby during the cleaning/demolition process. When high pressure water jetting injuries happen, they can be incredibly serious and can even cause significant internal damage. It is the responsibility of both the employer and the operative to take the necessary precautions, minimising the chances of this happening. Hydroblast Ltd. is compliant with ISO 9001, ISO 4001 and OHSAS 18001, demonstrating our high standards in health and safety, quality and environmental management. What should you do to reduce the risk of water jetting injuries? In order to prevent high pressure water jetting injuries, you have to be aware of how they’re caused. A safety awareness course can provide employees with a comprehensive knowledge of the potential hazards they may face. During your water jetting training, you will also learn how to carry out a high pressure water jetting risk assessment. This will help you to identify where and how accidents could happen on your site so that you can take the appropriate actions to stop them from occurring. Hydroblast Ltd. are a training provider of the Water Jetting Association and we are also audited and subscribed to the WJA Standard Operating Procedure for Water Jetting Training. As such, our training meets all industry standards. Incorrect nozzle assembly is one of the main causes of high pressure water jetting injuries. A case study from the article Water-power: High pressure water jets and devastating lower limb injury refers to an injury from high pressure water jetting where the head disconnected. The result was a significant laceration and various fractures. This shows the importance of undertaking the appropriate training. Each operative should be aware of the suitable equipment to use for each pressure and be able to set it up correctly. High pressure water jetting can be used to demolish concrete and other substrates. When these are removed, it is possible that some deposits could flick back up into the eyes and faces of operatives. In addition to this, the excess water can make employees more likely to slip and sustain injuries. This is especially dangerous in winter when icy conditions can cause it to freeze. This risk can be managed by wearing suitable protective gear, including goggles, helmets, cut-resistant gloves and overalls. Safety boots should also offer a good grip, and rock salt can be applied to the site beforehand if there are risks of freezing. Faulty or damaged equipment can also result in high pressure water jetting injuries, as this can cause a leak in an otherwise operational machine. The operative could sustain a hydraulic injection injury, which “occurs when the outer layer of skin is broken by a jet of fluid under pressure” (HSE). Its severity will vary depending on the proximity and pressure of the device. To prevent this, regular maintenance should be carried out by a competent, trained member of staff. Any replacement parts should be checked to ensure they match with the manufacturer’s specifications, and pressure tests and precautions should take place before use. 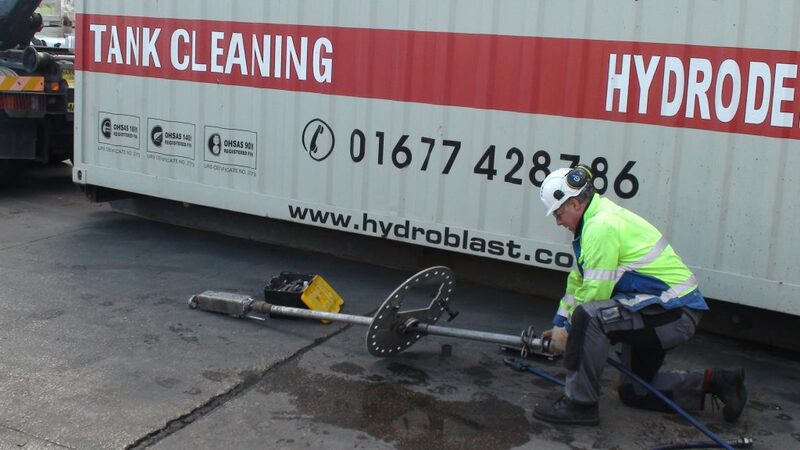 Hydroblast Ltd. are industry experts in providing safe high pressure water jetting services. If you would like to learn more, please don’t hesitate to get in touch.